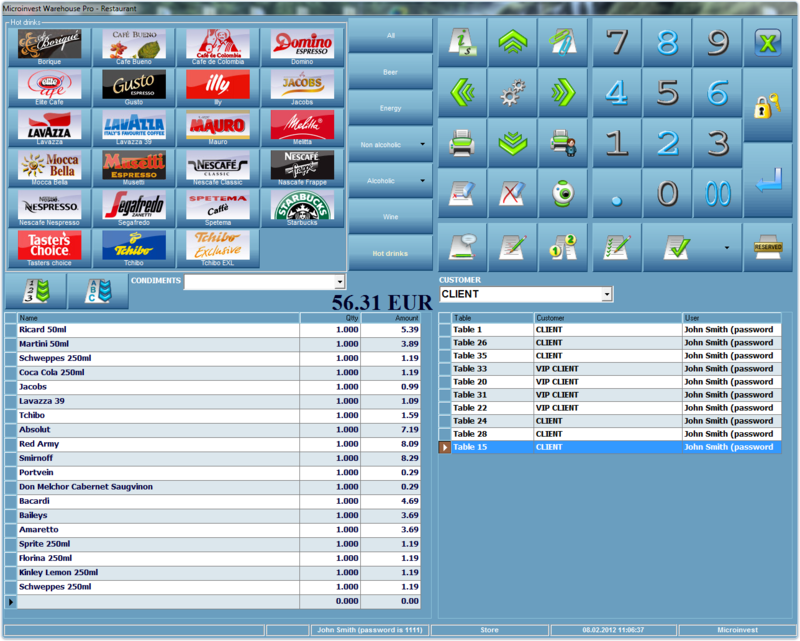 Microinvest Warehouse Pro Light is a specialized front-office POS software application developed to automate and track product and cash flows of all kinds of customer handling establishments such as restaurants, pizzerias, fast food stores, coffee shops, stores, supermarkets, boutiques and commercial chains of all sizes. 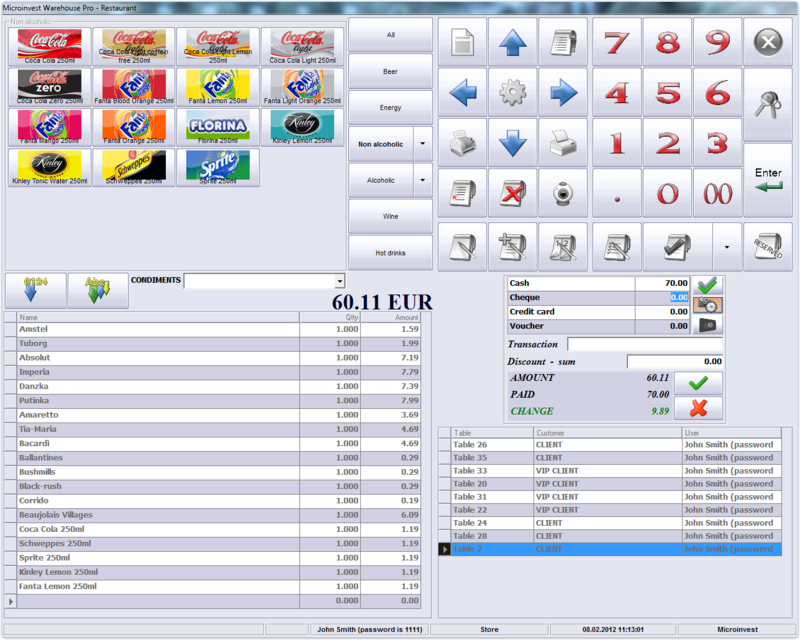 The product has been optimized to work with a wide range of barcode scanners, touch screen terminals, point of sale printers and cash drawers, supports additional customer interface and works directly with fiscal and POS printers and cash registers. Microinvest Warehouse Pro Light - Restaurant has a specialized interface and is suitable for work in restaurants, pizzerias, bars, nightclubs and other service outlets. This work mode supports most common functions for restaurants - opening a customer order, intermediate closing of an order, adding new items to an existing order and final closing of an order. For these processes, the corresponding intermediate notes are issued and data is sent to various kitchen and fiscal printers. This work mode has two special modules - "Happy Hour" and Reservation module. Microinvest Warehouse Pro Light - Restaurant has been engineered to service both single and multiple terminal installations in restaurants. It works with various database types that offer scalable and powerful work processing for small and large businesses. Optimized working with Touch Screen. You can also test drive the application with no risk for you by downloading a demo version and using it for 30 days before buying a license.